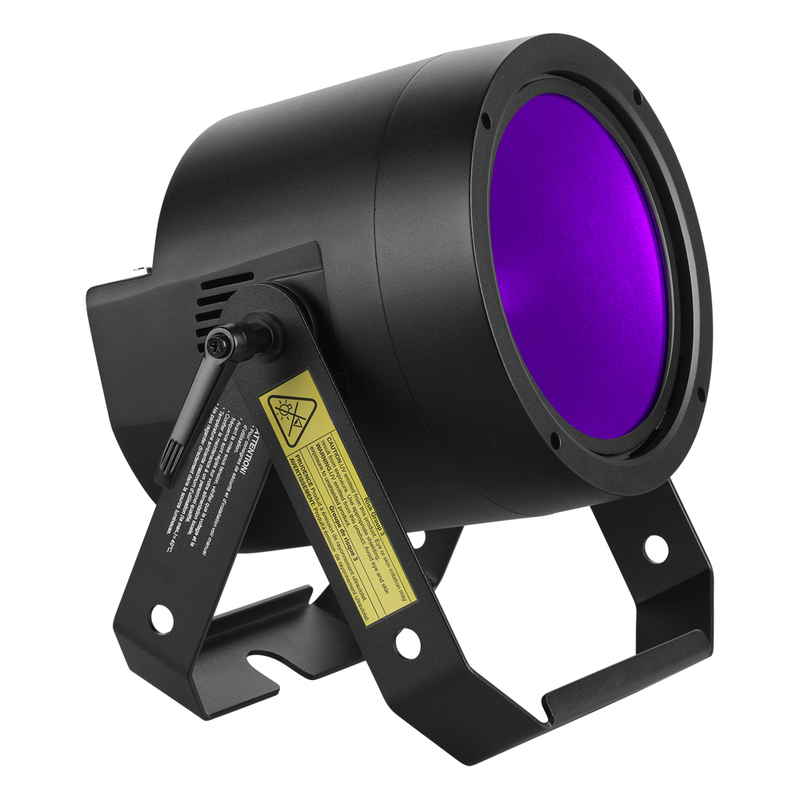 The RUSH PAR 4 UV is a bright single-lens UV LED PAR can light fixture for use in blacklight applications. 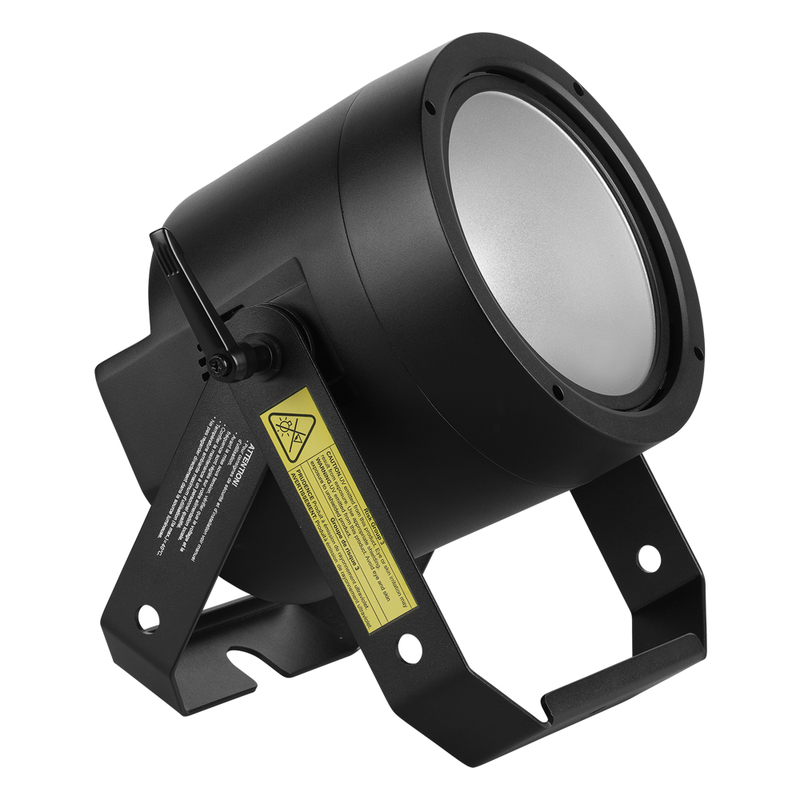 The fixture includes a 100 watt COB 400nm UV LED mounted in a reflector for high-output ultraviolet light, and has regulated air cooling for quiet operation. 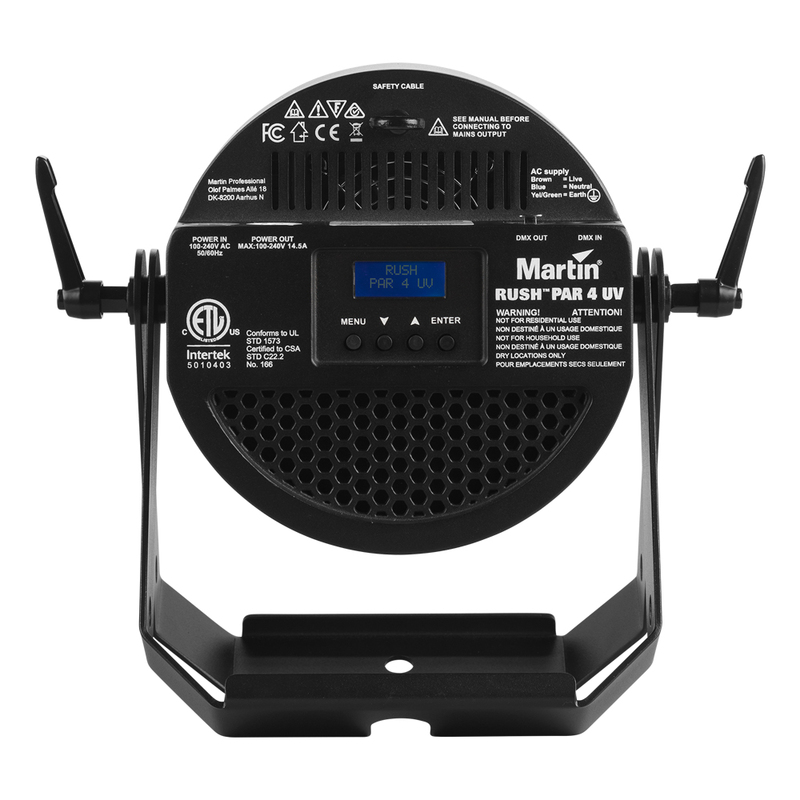 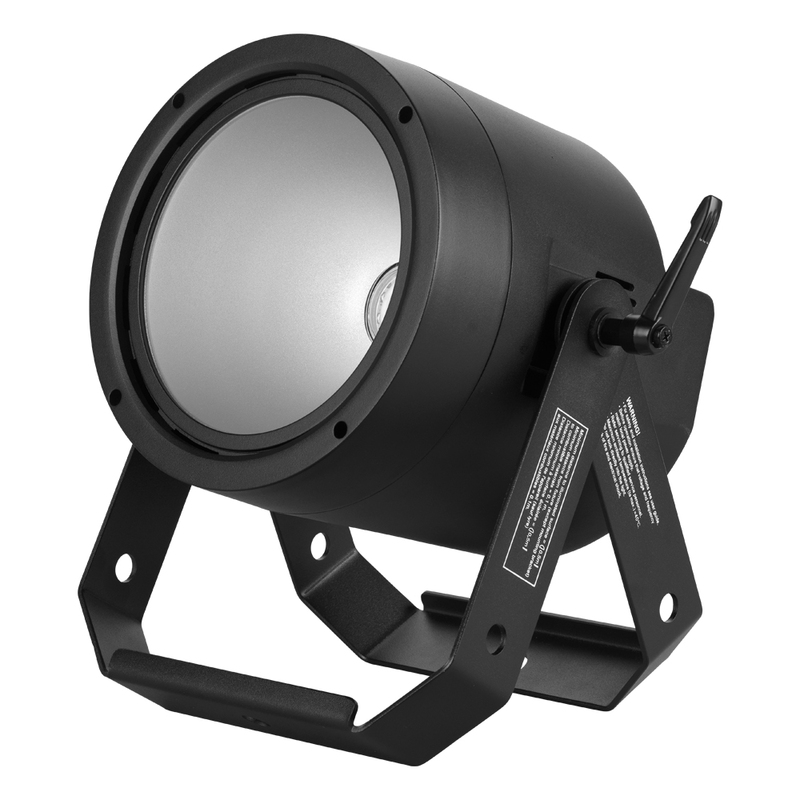 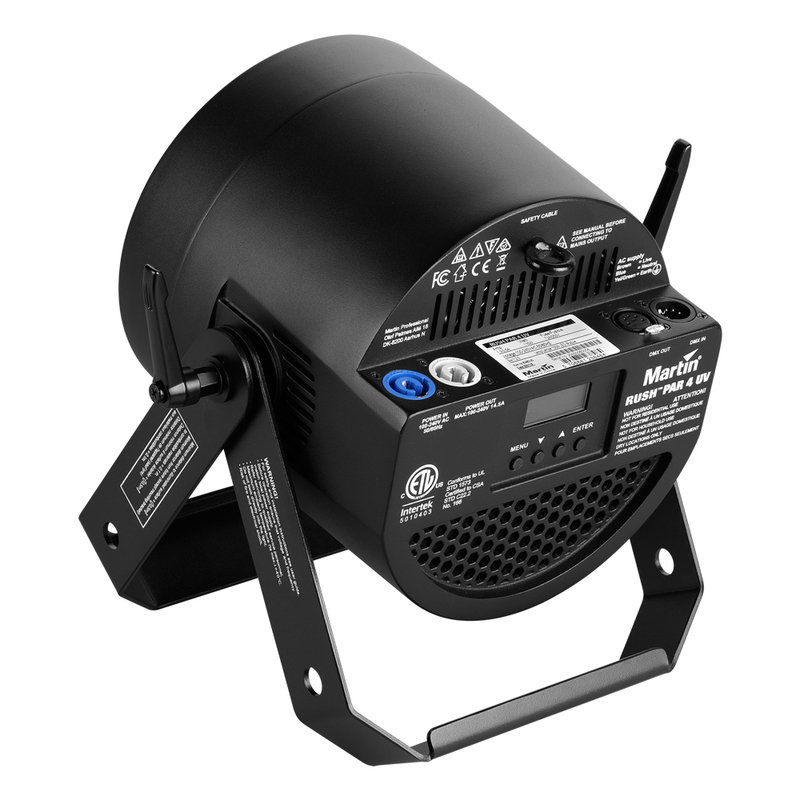 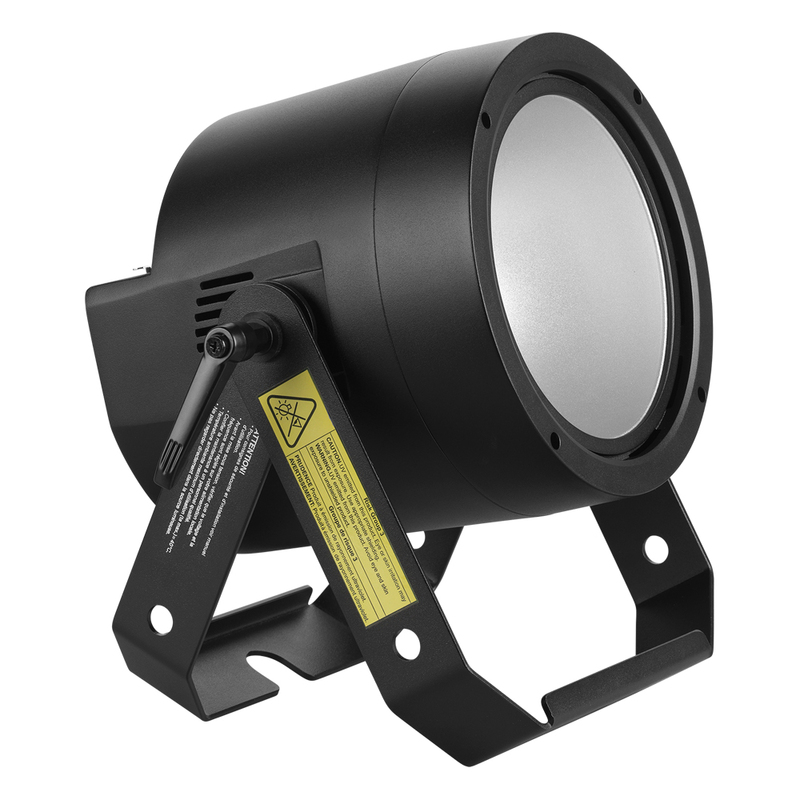 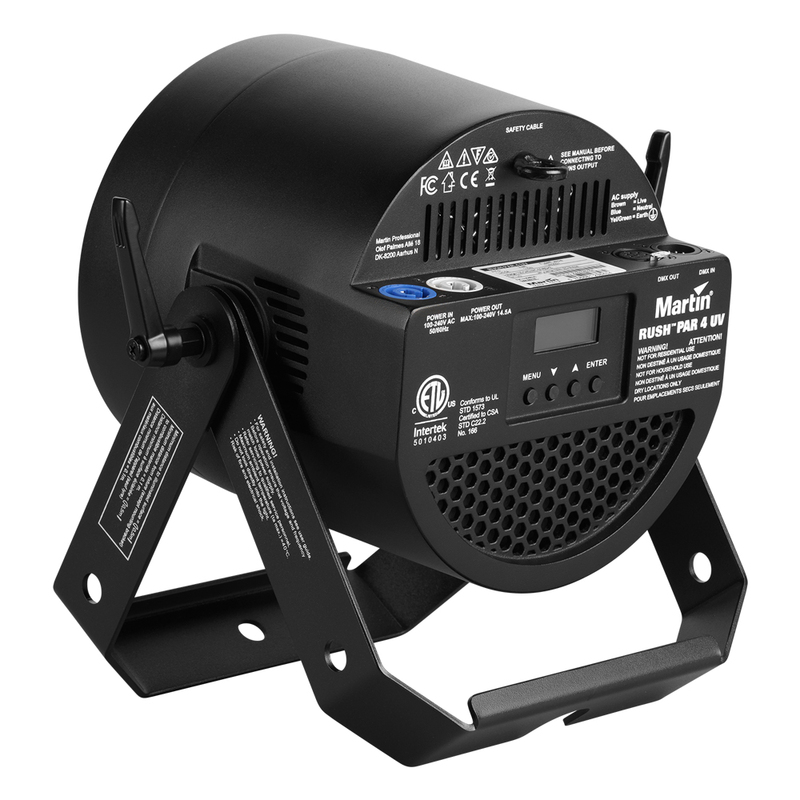 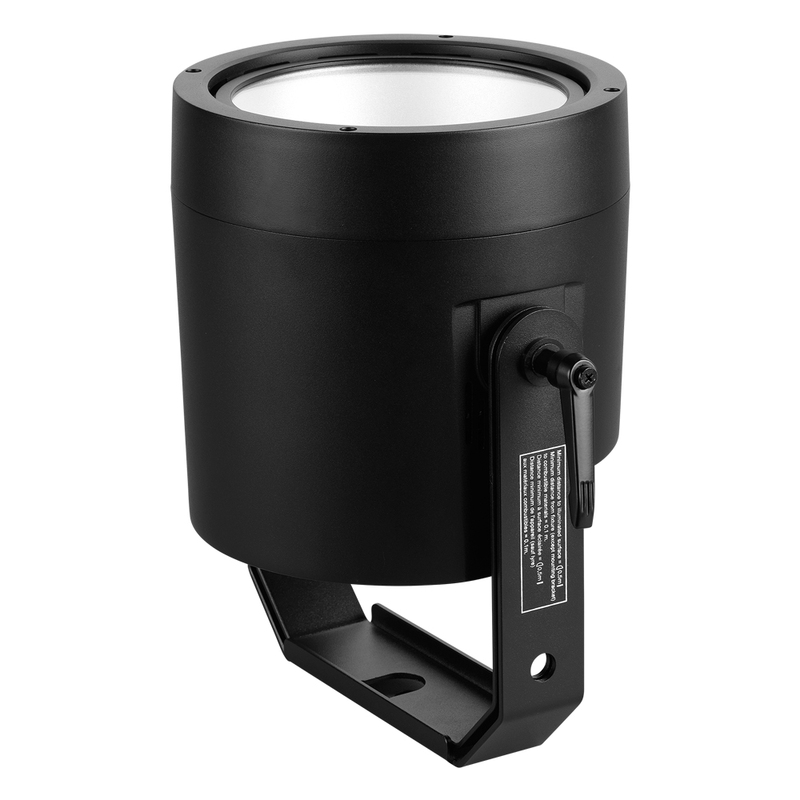 With electronic dimming and strobe and a bracket suitable for floor or truss mounting, the RUSH PAR 4 UV is ideal for a variety of nightlife, stage, and concert applications. 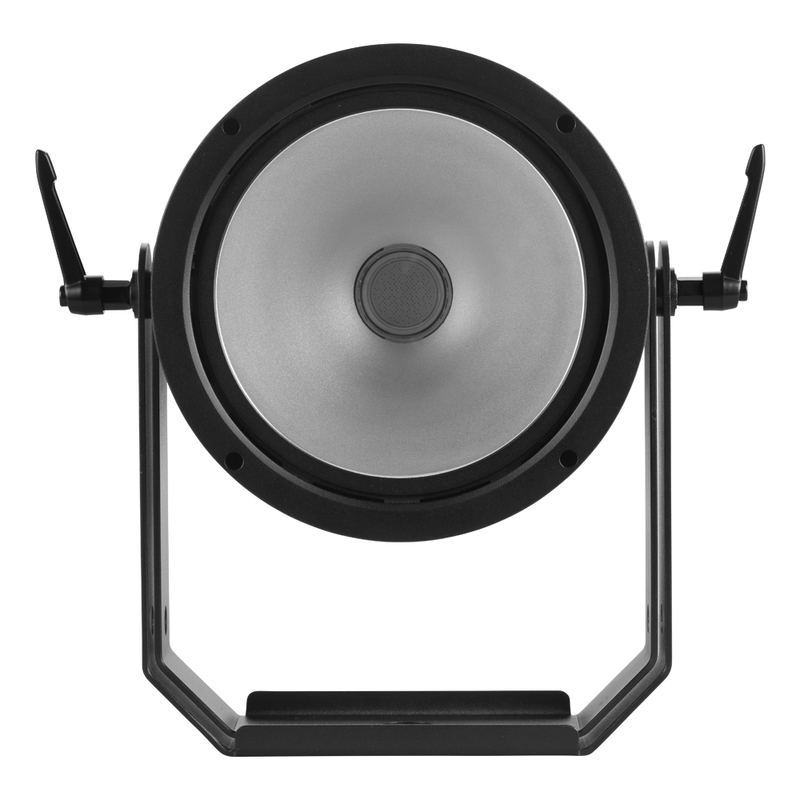 Measurements made at nominal voltage. 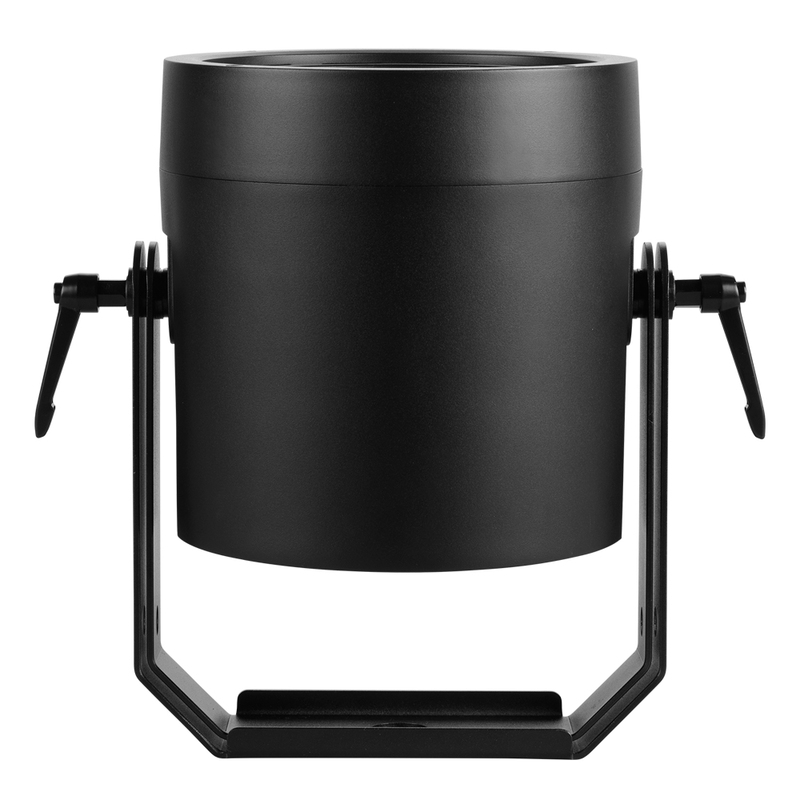 Figures are typical, not maximum, allow for a deviation of +/- 10%.